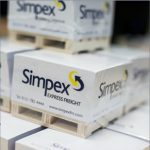 Simpex Express is known for being able to solve the toughest of logistical challenges, even when cargo dimensions go beyond the size of a normal vehicle. …and more with a little notice. We’re regularly engaged in moving out of gauge / abnormal loads and have full UK and European coverage. If you have a consignment that’s over 2.4m wide, over 3m high or over 13.6m long, please get in touch with us and we’ll work hard to provide you with a solution and offer our advice on the best possible way to move your goods. Market-leading prices coupled with outstanding customer service. 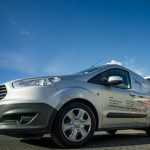 Our ability to collect and deliver faster than our competition is another strength and our semi-express service offers exceptional value over paying for a dedicated vehicle. 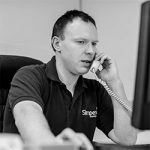 We know how it feels to be quoted quickly, made to feel important and have your instructions adhered to perfectly…so that’s what we do for you and we’re proud to have an extremely high client retention rate. Put us to the test and we’re confident you’ll agree. Quickly providing a solution to every enquiry received. Being flexible with our pricing to ensure we remain competitive and accessible. Arriving on time for both collections and deliveries. Going the extra mile when it comes to communication, aiming to answer your questions before you’ve had time to ask and ensuring discrepancies are reported to avert problems. Not just providing a service but customer service as well, showing a genuine passion and care for what we do. Maintaining our high standards of customer service during company growth. Listening to feedback and implementing change where needed. Recruiting and retaining the industry’s best and most talented people. Supporting local charities and projects through yearly donations. Thank you for all your help this year, and I speak for all of us here when I say it is a pleasure to be working with you. We have found your service & professionalism to be of the highest standard & look forward to continuing working with you throughout next year and beyond!